So the Chargers said they are going to move to Los Angeles. Now they actually have to move to Los Angeles. Anyone who has ever moved before understands what an undertaking this is. You have to pack up the boxes, prepare the furniture, finally address all the junk that’s been accumulating in the garage … it’s not a small endeavor, and that’s just for a house. The Chargers are moving offices and a practice facility. That means they have to pack up and transport all the tackling sleds, all the computers, all the files … basically 55 years-worth of stuff. For that they will have to hire a moving company. Finding one, however, has proven to be a problem. Charles asked the companies within the Hire A Helper network if they would refuse to help the Chargers move and they all said yes. But the movement did not stop there. So Charles started cold-calling his fellow moving companies to float the idea by them. The response was a bit surprising … in a good way. That variable is likely in excess of $100,000, by the way. With all the offices and training equipment, plus the likelihood of having staff and players jump on board, this is a monster payday these companies are turning down to stick to their principles. As of Sunday night 22 movers based in San Diego had vowed not to move the Chargers north and more are expected to sign on in the coming days. An email is being sent to as many movers as Charles can think of. “It’s almost like the last line of defense. 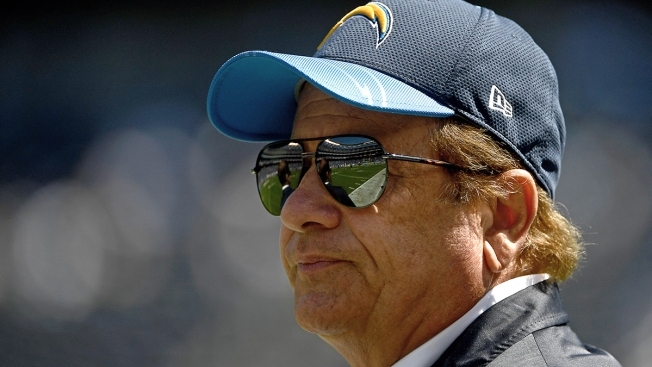 We were making this last statement of loyalty to the SAN DIEGO Chargers,” said Charles. But it is not simply the San Diego moving companies that have pledged their resistence. Movers in the Los Angeles area are also joining the cause. Not every moving company in San Diego will take part in this movement but enough will to let the Spanos family know just how disappointed Chargers fans are. Plus, this kind of camaraderie might be the proverbial silver lining. “It’s an awesome statement of loyalty, that’s for sure," Charles added. To see all the companies dedicated to not move the Chargers just visit www.wewontmoveyouchargers.com and see the list continue to grow.